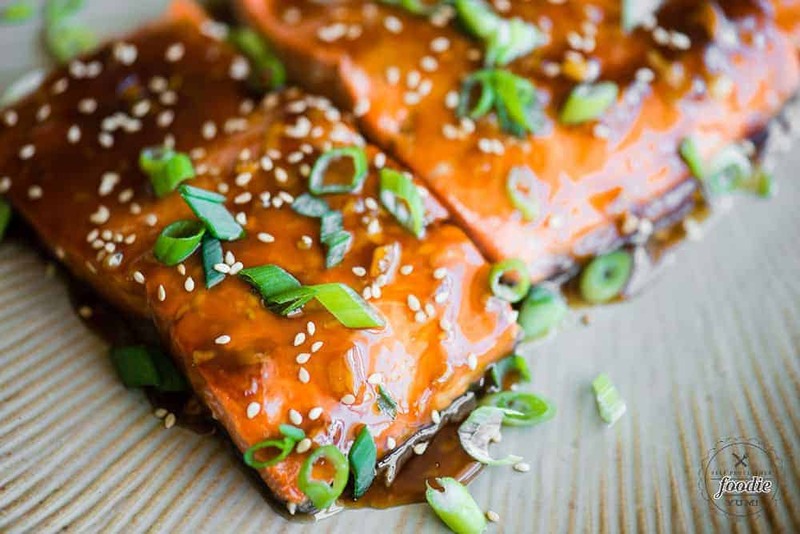 Baked Teriyaki Salmon is a quick, easy, tasty, and healthy dinner full of Asian flavor. No marinating needed and the flavorful sauce is made with ingredients most people have in their kitchens. Serve hot for dinner or take the cold leftover salmon and use as your protein on a salad the next day! 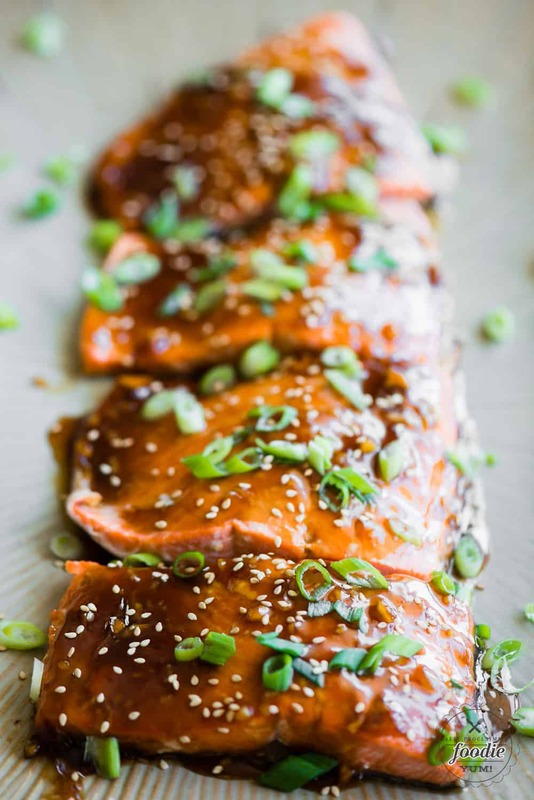 Baked Teriyaki Salmon is one of the most flavorful ways you can enjoy fresh salmon. 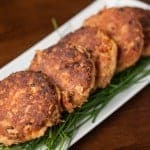 One of my most popular recipes is my Salmon Patties, but that uses canned salmon. 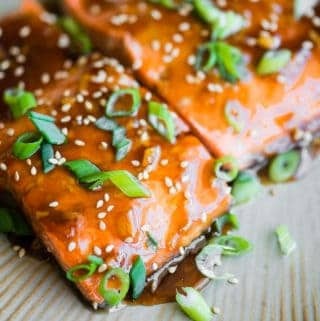 There’s a lot of debate about whether fresh salmon should be used to make salmon cakes, but I’m of the opinion that fresh salmon should be transformed into recipes like this teriyaki salmon. If you’re looking for a tasty way to make salmon that your entire family will love, even picky kids, you’ve stumbled across the right recipe! 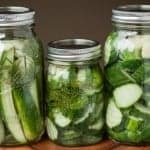 How do I make homemade teriyaki sauce? My teriyaki sauce consists of soy sauce, brown sugar, lemon juice, garlic, fresh ginger, and toasted sesame oil. 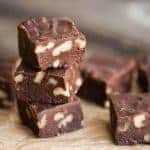 That combination of ingredients creates a salt that has every flavor you would want in a teriyaki sauce – salty, sweet, and the garlic and ginger give it a great bite. These ingredients are whisked together in a saucepan over heat to dissolve the sugar and create a great tasting sauce. How do you thicken a teriyaki sauce? A corn starch slurry is added to thicken the sauce and as it heats up, the sauce is transformed from a liquid to a sticky glaze. Perfect for adding to the top of a fresh salmon filet! 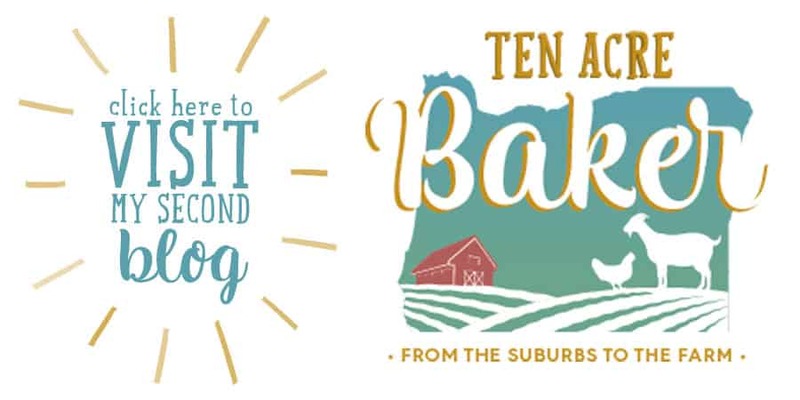 How long do you bake teriyaki salmon? Cooking fresh salmon can be tricky. You want it to be done but definitely not over done. First step is to line a 9×13 pan with parchment. This step basically makes clean up easy and will prevent the salmon from sticking. You’ll want to arrange the salmon filets so that they are not touching one another. For this recipe, I decided to use an oven temperature of 400 degrees F. At this high temperature, you must keep an eye on your salmon to avoid over cooking. Also, be mindful of whether you have filets that are thinner than others – they will cook faster. At this oven temperature, I recommend a cooking time of 12-16 minutes. 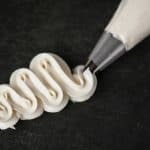 This varies depending on the thickness of your filets as well as your preferred doneness. To check whether your salmon is cooked, the best method is to see if it flakes with a fork. What do you marinate salmon in? Fortunately, this recipe does NOT require marinating. I was specifically looking for a salmon recipe that had great flavor but didn’t require a marinade. When you’re scrambling to get dinner on the table on a busy weeknight, who has time or the forethought to marinate meat? Not me. 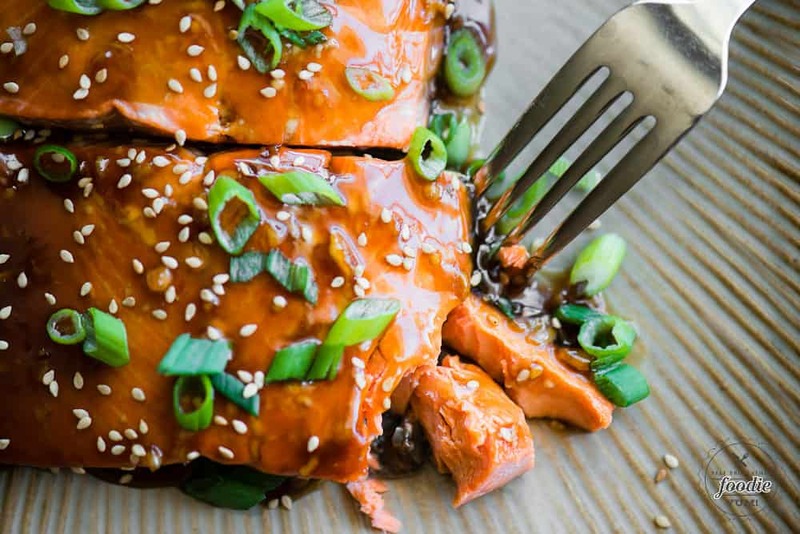 For this teriyaki salmon recipe, you just make the sauce and bake. Easy! 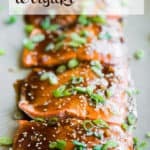 Baked Teriyaki Salmon requires no marinating needed and the flavorful sauce is made with ingredients most people have in their kitchens. Preheat oven to 400 degrees. Line a 9x13 inch pan with parchment paper. Alternatively, you can coat with non-stick spray. Arrange the salmon fillets in the pan so that they are close but not touching, skin side down. In a small bowl, whisk together the water and cornstarch. In a small saucepan, whisk together the brown sugar, soy sauce, lemon juice, garlic, ginger, and sesame oil. Slowly whisk in cornstarch slurry into the mixture. Heat teriyaki sauce over medium high heat until it comes to a boil. Reduce heat until it can maintain a gentle boil and allow to cook about 2 minutes until the mixture just starts to thicken. Remove from heat. Remove about 3 tablespoons of the sauce and reserve for later. Pour remaining sauce over the salmon fillets. Bake in preheated oven for 12-16 minutes or until salmon is flaky and cooked through, bake times may vary by thickness and initial temperature of salmon. Brush the top of the salmon with the reserved sauce. Garnish with green onion and sesame seeds. Serve with rice and a steamed vegetable.